Pencil on paper, colored with the computer (CGI). 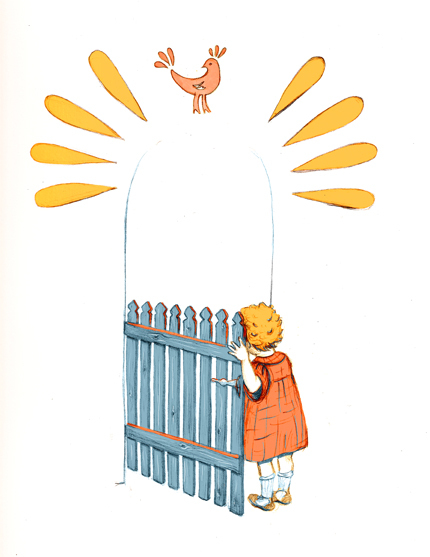 This was one of the illustration options for my final project, for a poem by Kadya Molodowsky, called “open the gate”. I chose another poem and another style/technique, but still, this is one of my favorite images from the project. The inspiration is from some image I found on the internet, called: “girl at the garden gate”.